Amanda Knox and Raffaele Sollecito, after having a conviction for the murder of Meredith Kercher, Amanda’s flat mate, overturned in an appeals court, continue to wend their way through the convoluted Italian judicial system six years later. The Supreme Court sent the case back to the lower courts after an appeal by the prosecution, who reverted to a guilty verdict. Much has been made of her “changing her story,” which I will address later in a post on coerced and false confessions in the light of police misconduct. What she might or might not have said in the 53 hours of interrogation in a foreign language, however, aren’t really germane, since it was in fact physically impossible for her to have committed the crime. The best evidence for this is the time of death. In the Massei_Report, which outlines the reasoning by the judge on the logic of the first conviction, this important detail is not sufficiently addressed. It is known that it takes 2-3 hours for a meal to pass from the stomach into the duodenum, and the median time (i.e., average time) it takes for the meal to FIRST ARRIVE in the duodenum is 82 minutes (25%-75% of the time the range is 65-102 minutes). In the case of Meredith, there was nothing in the duodenum. All three of the girls she had dinner with said that they ate at a pizza meal at about 6:00 pm (Massei, p. 35-37), or 6:30 at the latest, since AFTER eating they watched a 123 minute long movie. They left at about 8:50 pm, which one of the friends is sure of since she wanted to get home to watch a TV show at 9:00 pm, and she ended up arriving before the show started. It was a ten minute walk to Meredith’s house, and along the way, at 8:56 pm, she made a call to her mother on her cell phone, which was cut off, probably due to a loss of reception walking through the narrow streets. She was seen on CCTV near the house at 8:51 pm according to the time stamp (the clock was found later to be about 10 minutes slow, so she probably arrived at about 9:01-9:03 pm). 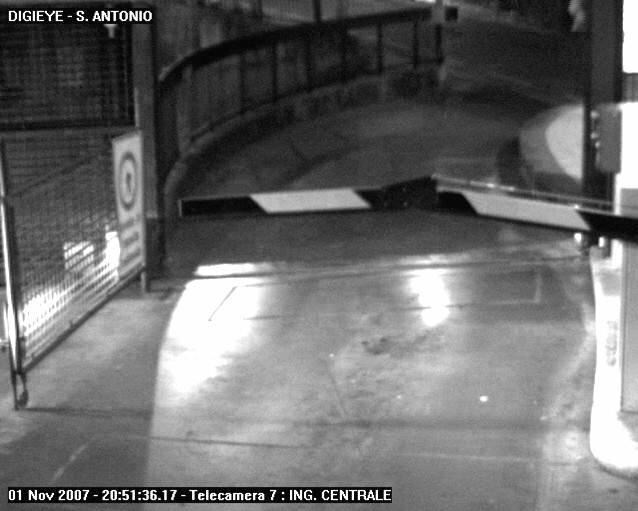 CCTV of the garage showing a time stamp of 8:51 pm and Meredith Kercher arriving close to her home. 9:01 pm was at least 150 minutes after the start of her meal, so it is medically impossible for her to have died much later than this. Here is where the conviction breaks down. The prosecution has the homeless drug addict Antonio Curatolo (since deceased following a subsequent stint in jail) placing Amanda and Raffaele in the piazza near the house at 9-11 pm. There was a stalled car near the house at 10:30 pm for about another hour, and he never heard a scream. Then there was Nara Capezzali, who claims she heard a scream that was placed at 11:30 pm. The conviction put the time of death at 11:30 pm in order to string together these somewhat dubious “facts”. Massei did some hand waving about factors that could affect digestion and made the claim that it could take up to 7 hours for the meal to pass from the stomach. But this is plain wrong, no doctor would agree with this statement being applied to a normal person. The time of death is flat out wrong. Add to this the problems with the witnesses, like Nara claiming she heard people running from the scene of the crime, which has been proven impossible, Curatolo’s mix up on the dates (he claims to have seen buses in the piazza, but that occurred on Halloween night, not the night of the murder, November 1), the DNA ruled out by experts appointed by the courts as not providing evidence of the presence of Amanda and Raffaele at the murder scene or of knife plucked randomly from a drawer in Raffaele’s apartment as not being the murder weapon, and you are ending up with… nada. Trying to have a rational conversation with people who are convinced of Knox’s guilt is like having a debate with young earthers who believe in intelligent design. ‘The American student accused of murdering Meredith Kercher in an “extreme” sexual game was captured on security cameras entering their shared house on the night her throat was slit. A camera in the carpark opposite Miss Kercher’s house has a “clear-cut image” of 20-year-old Amanda Knox, from Seattle, on the premises, according to police. The revelation apparently contradicts Knox’s latest assertion that she was “not in the house” that she and Miss Kercher shared in Perugia, Italy, on the night her flatmate died. Of course that’s the same CCTV image. The lying by Mignini and his minions is utterly breathtaking . 12 officers and several senior officials were scheduled for the interrogations. In reality the police did not have to work very hard, to coerce the terrified students into confused ramblings and from there the prosecutor needed only to spin picked phrases to “create” the thruth they needed or wantet. I see 4 victims: Meredith, Raffaele, Amanda, and the truth. And the winner is: GUEDE. I have seen how inept the police in Italy can be. I was robbed on camera at a train station by 5 teens and the police did nothing! There were no police around at the Termini Station (a place that has 20,000 people a day going through it). I ended up at 6 police stations to file a report after walking about 10 kilometers! At two of the stations they were watching TV! I asked them if they were going to get the video (CCTV) from the station where I was robbed and I was told “not likely!” I just wanted to prevent this from happening again and was hoping they would ban the teens from the station. It is a self perpetuating problem. I took two years of Italian and I needed an interpreter to help me with conversations and forms! I can’t imagine going through 50+ hours of questioning! I don’t think they do that to prisoners at GITMO! Anybody would say anything to get sleep after being accused of murders and having no sleep! From what I have heard in the case they have no evidence, a biased prosecutor, police that lied, contaminated evidence and a guy that admitted killing Meredith! All these facts along with the dinner not being digested through the duodenum makes it clear to me that a great injustice has been done! I believe that the Italians just wanted to save face after looking so inept from the first trial. It was necessary to convict her a second time! A Malicious persecution and prosecution! They ruined several lives after a beautiful girl was killed and by killing the soul of another beautiful girl! That being said I love Italy and will return again! I hope during Amanda’s next appeal they will get it right! I wish Italy would do a bit to change their laws to have justice in the country I love so much! 12 interrogators came from Rome to interrogate Amanda and Raffaele at night. It must have been preplanned, otherwise why come from Rome at night. And before you say that’s a lie, think about how many of them are suing Amanda for slander, 8 with four declining. And if they were really so kind to her, why not release the tapes showing how kind they were. False confessions happen all the time, and Amanda and Raffaele were too young and naive. WHy were lawyers and certified translators not provided during the interrogation. Do they always interrogate witnesses with 12 investigators? And the DNA evidence is pathetic. They even videotaped themselves collecting evidence and showing how they broke every rule in the book. The DNA analysis was so flawed that I doubt Dr. Stefanoni would be able to get a job anywhere else in the world. She lied and hid the results that would have shown the there was no way Meredith’s DNA was on the knife and Raffaele’s DNA on the bra clasp. I could go on, but it is useless. Raffael will go to prison because he refuses to lie so that the prosecutors can get that American witch. Yes. The Innocence Project has found that 25% of those PROVEN innocent via DNA evidence had previously confessed or made incriminating statements. Okay, people. This is not a preschool finger painting class. This is a monitored blog, and although I like to leave things free for discussion and not monitor in advance, if you violate the rules you will be labelled as spam. We had our first hit today, so if you don’t see your comment here any more, please go to the “About” link on this blog to read the rules and find out why your comment is no longer here. This works both ways, twinkies. America bashing will not be allowed, but if someone starts Brit bashing, even if it is a comment I agree with, you will be similarly spammed. Fair is fair. And I don’t have time to spell it all out for you in detail, so read it and figure it out on your own. Have a nice day. I mean, if there were 4 people in the room, how came there was no DNA of Amanda in the room, or her footprints in blood. If Raffaele was active in the murder how come they found a disputable LCN DNA of Raffeale’s rather than an abundance of DNA (not LCN DNA). But hey, whose DNA was found in abundance in the room, not the LCN DNA, Rudy Guede. Whose palm print in Meredith’s blood was found in the murder room, Rudy Guede. Whose shoe print in Meredith’s blood was found in the murder room, Rudy Guede. Rudy Guede killed Meredith and raped her, part of a bungled robbery. That’ it in a nutshell. Ah, but you forget. Amanda is a witch. She used supernatural powers to control Rudy and Raffaele and then remove her footprints and DNA along with those of Raffaele. They don’t call her Luciferina for nothing! It’s rare for two accused people to have so much evidence proving their innocence. A second reason why it is physically impossible for Knox and Sollecito have committed murder is that it is physically impossible to remove all forensic evidence—including microscopic DNA fragments invisible to the naked eye—of two assailants from a crime scene while leaving those of a third assailant undisturbed. Can’t. Be. Done. At the same time, it’s rare for two accused people to have so much exculpatory evidence destroyed. Hard drives that might have proven the alibi or documented Amanda’s friendship with Meredith? Destroyed. Body temperature? Mignini ordered it not taken. Video or audio recording of the interrogation? Vanished, suppressed or deliberately not made. It is also rare for a prosecution to be considered credible when it has been caught out lying about important matters. No one is his right mind can believe that Amanda and Raffaele were not suspects when a team of interrogators was brought in from Rome. So why should anyone believe any other claim the prosecution made from then on? And at the same time, it is rare for one defendant to be the victim of a prosecution-led smear campaign through the tabloids as a way to get tainted or falsified evidence that cannot be shown in court in front of a jury. Rarer still is the creation of a completely fictitious persona by a prosecution. For example, neither the prosecution nor any of the tabloids working with it ever showed the photo of the nine-year-old football player who was given the name Foxy Knoxy. When a prosecution has to obliterate the real-life biography of a defendant and replace it with a wholly fictitious, tabloid-driven one, it is not because it has overwhelming evidence. This case has been prosecuted on the basis of hysteria and lies from the beginning. That alone is cause for doubting the prosecution’s case. I am from UK and I too find it shocking that there are knee Jerks out there (in UK) who believe she must be guilty because she is American – for heaven’s sake as if the UK is sainted re its foreign policy and so, we are all to be held responsible as UK citizens for that if we are ever caught up in a situation the likes of Amanda’s – (this could have happened to anyone in wrong place at wrong time with a police investigation like that btw)??!! What we are missing in this discussion , is that on discovering the murder , the police were undone to find the murderer/s as soon as possible . In a domestic murder case , you first consider people close to home , hence Amanda and Raffaele . The police took them in for questioning , called the experts from Rome and gave them a long and heavy interrogation with no lawyers present . They built a case around Amanda and Raffaele long before Guede came under the spotlight . The case against Amanda was based on conjecture , suggestion and character assassination . The newspapers were humming with it in Italy , Britain , everywhere . When it was discovered that in fact Guede was the murderer it was too late to admit the mistake , so they have continued to persue Amanda and Raffaele right up to now . To have Amanda and Raffaele found not guilty difinitively exposes the Italian Justice System to be wholely corrupt . Italy will be liable to pay Amanda and Raffaele huge compensation and all their legal costs . Francesco Maresca is conducting a civil case against them , seeking millions in compensation for the Kercher family . Mignini will be exposed to accusations of fraud and more , very likely the ignominious end to his career . I believe the recent trial before judge Nencini was predetermined to convict . I believe Nencini gave himself away at the end , expressing his disquiet at sentencing to young people to many years in prison , when he new full well that they are innocent . I have posted a number of comments on Twitter and I have at times found it difficult to repel the rants from those who totally believe in the guilt of Amanda Knox and Raffaele Sollecito. I personally believe both are innocent but I do harbour some doubts based on some of the evidence or how it has been reported, portrayed, perceived, call it as you will. I think it is almost impossible not to be confused by the evidence and the intepretation of law in the case of Amanda and Raffaele and how justice has been adminsitered by the Italian authorities. 1. Where was Amanda Knox when she received Patrick Lumumba SMS about not going to work and when she replied to it if not at the apartment of Raffaele? 2. If Amanda and Raffaele ate at the earlier timeline which reconciles with the call made to Raffaele by his Father, where was Amanda at that time and what evidence from anyone suggests confirms or contradicts that they ate later? 3. Who on earth is Andrea Berti in connection with the testing of samples on the blade of the knife? What relevance is this, if any? 4. Is the Appeal (if granted) to the second conviction to be a complete Appeal retrial or just to address issues of law not discrepancies again in the evidence? 6. What was the outcome of any forensic tests done for fingerprints, DNA etc on the two phones of Meredith retrieved on the morning of 2nd November 2007? 7. Why are tests still being done of any kind on the retained knife from the Sollecito Apartment if it has been accepted by the Court based on expert evidence that there is no DNA evidence which can be attributed to Meredith Kercher? 8. 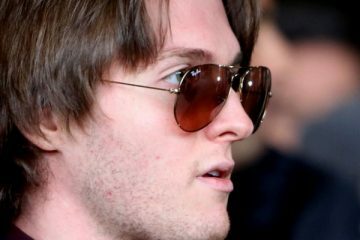 Did Raffaele Sollecito ever say in statements or other evidence that Meredith Kercher had pricked her finger on the retained knife and that he had apologized to her for it? Why would he say this even under pressure of interrogation? I would welcome some positive feedback on these points please. thank you. Paul, why is the first question, or for that matter the second question, relevant to the case? How does it connect it to the forensic evidence? We know that Amanda was at Raffaele’s flat at 0845 when Raffaele’s friend came by to say she did not need a ride. The website, Injustice in Perugia can give you more details on the your answer. The question that should be asked is why 4 hard drives by supposed experts were destroyed so evidence of what they were doing on that crucial night were destroyed? I am not sure who Andrea Berti is? Can you give more information on what she did? Who knows what the ISC will do? They have broken their own law and will probably break it again. Not that they care to read the what the defense puts forth. The forensics of the case! Have you watched the video of the evidence collection? If not, i suggest you google it. The prosecution withheld a lot of forensic evidence, so not sure if they even collected all the evidence needed, and they cherry picked what they wanted to present. Again, please go to Injustice in Perugia to get all your questions answered if that is truly what you are seeking. Everything is explained clearly with all the statements backed up by evidence and is not just hearsay. I can just give you a few pointers. I wrote out a long reply to Paul David. Not sure what happened. But, Paul, if you are truly interested in the answers to your questions, please go to Injustice in Perugia website. They have everything laid out clearly with supporting evidence. The interrogations were never taped, no tapes were destroyed, they just chose not to tape it. Mignini used the justification that Amanda was not an official suspect at the time. Needless to say it is on the surface judicial misconduct to act like this, but there the prosecutors act like a team with the investigating police and I’m sure it happens failry often since there is no real check on their power. Mignini was convicted of abuse of office in fact on another case. Maresca represents the family of the victim in the civil case seeking 25 M euros for wrongful death against AK, however civil and criminal cases proceed together so he has in effect been acting like a prosecutor. AK was convicted of callunia (which is similar to libel, but more loosely defined) for saying she was hit by the police, even though there is no reason to think she wasn’t. She was sentenced to four years (time already served). There are other callunia lawsuits as well as proceedings for misconduct against the detective Monica Napoleani – these can take years in Italy – there is an upcoming hearing for Nencini for charges of discussing his ruling with the press before he had published his written report. AK was at the apartment all night and the rest is stuff that was conjectured or incorrectly stated on the internet. The police got RS to agree she could have snuck out in the middle of the night, anything is possible if you are asleep, right? Although most rational people would appropriately treat this with skepticism, and it is irrrelevant anyway since their scenario has the two of them involved together. DNA – there were problems with the collection from the beginning, they went back after the fact 45 days later looking for the bra clasp – the court appointed Stefano Conti and Carla Vecchiotti of La Sapienza to analyze the DNA evidence and they concluded there was no evidence via DNA of AK or RS at the crime scene or on the supposed murder weapon, although Rudy’s DNA and bloody footprints were all over the place. Those are the experts the court picked, many other “experts” have stepped forward and said all kinds of things but Italians won’t pay attention since La Sapienza is the best university in the country. They did another test of the knife in the last trial and found no evidence of the victim on the knife (not sure why this test was repeated – it shouldnt have been). So there is no DNA or fingerprint evidence to support the prosecutions theory of the crime. As for the phones, no DNA there either as far as I know. It is clear that Rudy picked them up and then ditched them later. I think RS said he might have pricked himself at some point with the knife, but I haven’t heard about the Meredith story, in any case it doesn’t matter since her DNA was not on the weapon. The appeal would go back to the supreme court but it is any one’s guess what will happen. As for why they were convicted a second time/had the aquittal reverted the judge from the first aquittal, Hellman, said he wasn’t surprised because the prosecutor party was strong in the supreme court and they would want to support a fellow prosecutor, i.e. Mignini. The judicial system has something along the lines of political parties so they are of course not without bias. This is what Berlusconi was complaining about although no one outside Italy knew what he was talking about. That doesn’t mean he wasn’t a crook, though (he was). Thank you to those who have responded to my earlier posting. I have not followed the case in detail from the very beginning, in fact closely only in recent months but i have read up on all the important primary source documents so far as possible and referred back to the websites which are authoritative on the case such as the ones to which you refer. I have not seen answers to my questions on these websites which is why I flagged them here. If I have missed anything, I apologize. Despite many many hours reading up, and subject to severe time restraints, it is possible I have missed something. What test result involving Andrea Berti (whoever that is) are you talking about? The most recent test of the knife confirmed no evidence of the victim on the knife. Other than that there is nothing of interest related to this person. I remember something about the cell towers and reception. My memory is that the prosecutors actually made an error about the location of the cell towers and the relevance to the case, which is why it wasn’t presented as evidence. I am not going to go track that down, however, since it is not possible that they could have committed the murder and cleaned all of their blood and DNA from the room while leaving those of Rudy Guede. In any case I don’t think your “apparently established” comment is correct . As for their memory of when they ate dinner, they were under the influence of marijuana, and those people have an impairment in memory for such things. The police found a hair that would have come from a black man initially on the crime scene. They went for the concept of those closest to the victim are likely guilty (i.e. roommates) which led them to the boyfriend RS. They got the statement that AK could possibly have snuck out, and then used that to tell AK that he did not give her an alibi, that they had proof that both she and Patrick were at the crime scene, and that she should imagine what that would have been like. I don’t understand your question about the knife prick. It seems like you are trying to ask us to justify why he said that (probably ill advised, but he figured they were trying to get him with the knife, but that is now irrelevant since it has been established and accepted by the courts that this was not the murder weapon). Your questions seem to come from the standpoint that they should prove they are innocent, when the legal precedent in civilized countries is of innocent until proven guilty, no release of information to the press during the course of a trial so as not to influence the jury, and the family of the victim should not get involved in the prosecution of the alleged perpetrator. All of these tenents were violated in this case. If you have more questions about the case I suggest reading one of the books written about the case that have been well researched rather than getting your information from bits and pieces on the internet. There have been a number of lies and pieces of misinformation that started with the prosecutors and police in Perugia and extended to the press and the internet. I have been told that the book by Mark Waterbury is a good place to start. Thanks again for responses to my points. Yes it would be great to read all or any of the books which have been written about Amanda Knox and Raffaele Sollecito and the killing of Meredith Kercher. A great deal of time is spent by all of us reading (and re-reading) much of what is written online on the Internet. I personally live in Indonesia now and I am pretty reliant on the Internet for my news feed on cases such as this. None of us are in any doubt that in criminal cases, it is the job of the Prosecution to prove their case beyond reasonable doubt. Our concern in this case against Amanda Knox and Raffaele Sollecito is that they have not done so based on ‘a smoking gun’ or reliable incontravertible circumstantial evidence as is required by Italian Law but based on concucted lies and fabricated evidence motivated by a desire to ‘save face’ and not be wrong at all or any cost. I raised my original questions, based on what I had succeeded in reading to date. I think that defence counsel harbored a feeling of pre-mitigated defeat from the defeat to the arguments of the Prosecution, knowing they could not win, so they did not or could not raise a stronger defence. In my view, the Massei Judgment is weak and the latest Appeal Judgment has only been upheld because the defence Counsel for both Amanda Knox and Raffaele Sollecito did not argue the points with sufficient factualness or veracity. Hence the knife is considered the murder weapon and Knox/Sollecito are considered the two people placed at the time and scene of the crime. The Italian authorities have developed and selected evidence according to their criteria to put forward the case and have taken advantage of the nievity of Knox/Sollecito during interrogation. If I am not wrong (and it is the same for Gonzalo Amaral in the McCann case), even if a conviction is upheld in the final Appeal, there is still the challenge to the Court of Human Rights. I have just listened to the BBC Radio 4 documentary about the case which is a lot more rudimentary but objective than the BBC3 programme. I am interested to know more about Dougs explanation of what Meredith ate that night and how that may have had bearing on the timing of her death. 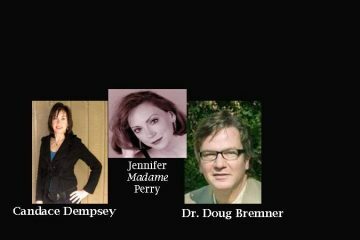 There is a poster on the JREF website that has some expertise on cell phone towers. It all boils down to the forensic evidence , which, in my opinion, they have none. The contents of the stomach is another subject that has been discussed at length on the JREF board by scientists and people in health care. The only problem with JREF is that there are very long threads, but the discussions are great because it is a skeptics site and people there discuss quite clearly the evidence of the case. The three girls ate pizza at about 6-6:30 pm the night of the murder. As I remember there was a question about whether they might have eaten apple crumble shortly before going home because a small piece of food resembling that or a mushroom was found in the throat of MK on autopsy. Another speculation is that she ate some desert after going home. The prosecution places the time of death at 11:00-11:30 pm. Some people writing on the internet point to this apple crumble as supporting the prosecution time of death. However, they do not understand medical science, since this possibility has no bearing on the time of death. The point is what is going on beyond the stomach, not before. There was no food in the duodenum, and it is not medically possible for that to happen after five hours in the absence of a severe condition involving the stomach, which was not found at autopsy. This is the essence of the discussion that was on JREF 1-2 years ago which I participated in using a screen name.